X-Mini has been in the country for awhile now. 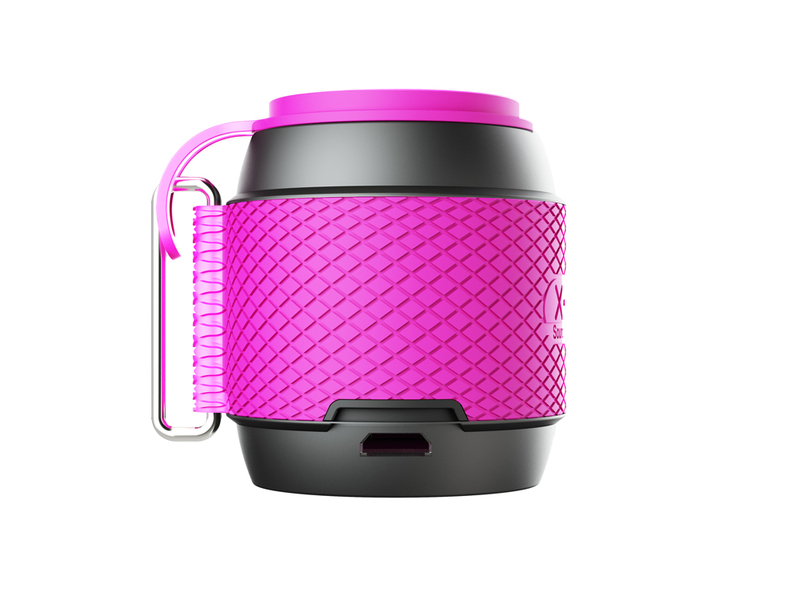 Its portable speakers have always attracted music lovers because of their design and performance. 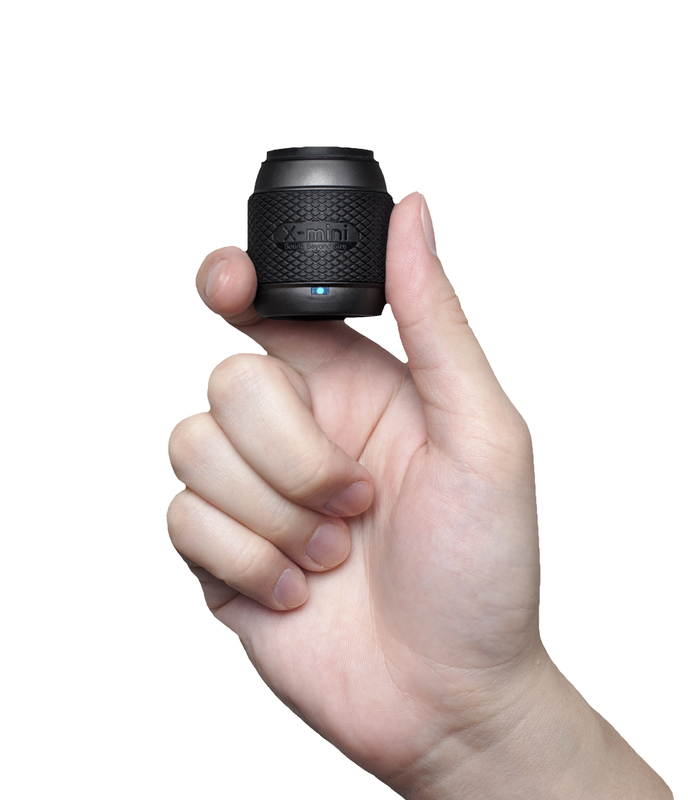 Now, we are going to take a look at the X-Mini ME Thumb Sized speaker, its smallest speaker to date. It measures at just 44mm by 38mm, and weighs just 44g. The saying “size doesn’t matter” really applies to this speaker. 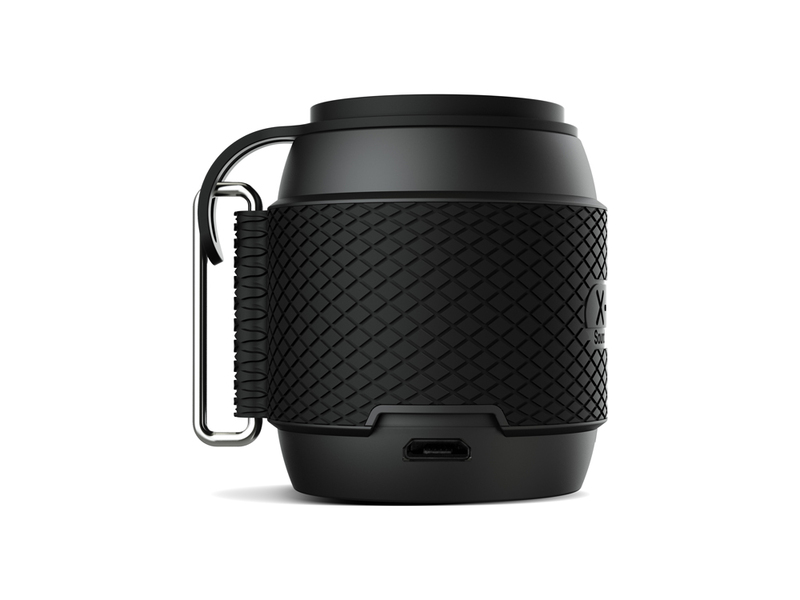 The X-Mini ME is a nice looking speaker. 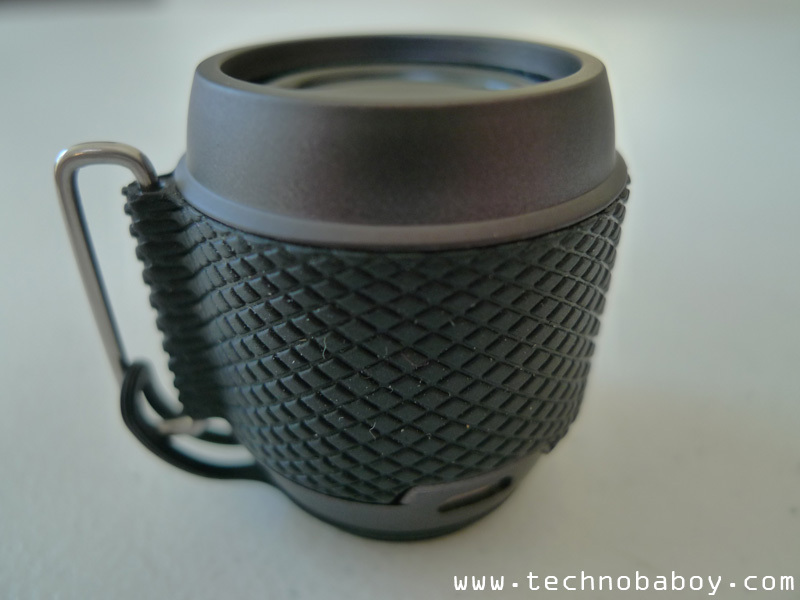 Like many of X-Mini’s products, it has a premium feel to it. 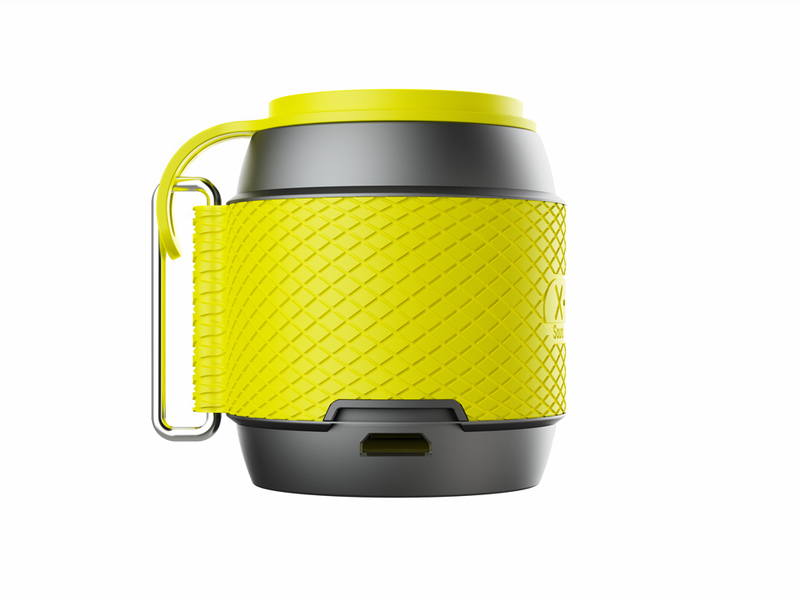 The body of the speaker is shaped like a barrel. 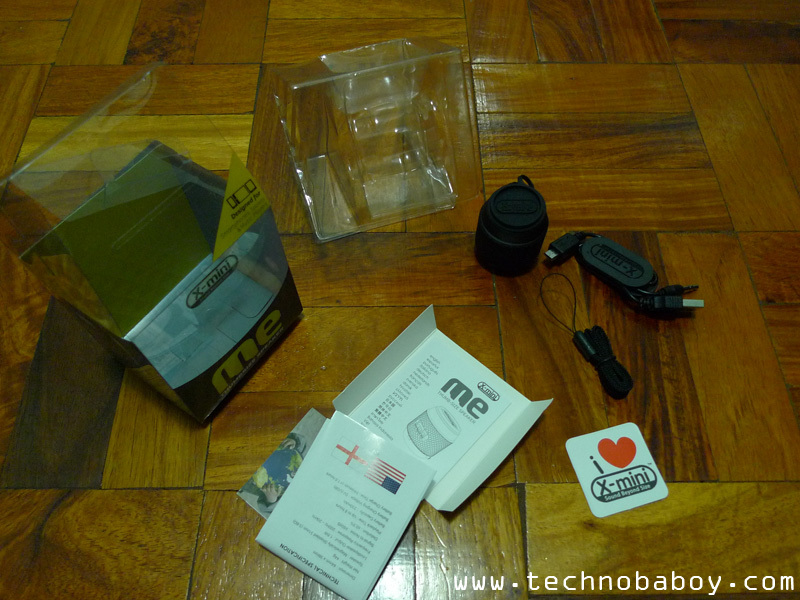 It’s made from a high quality plastic material with a matte finish. There is a rubber grip around the main body of the barrel, giving it a rugged look and a nice grip. 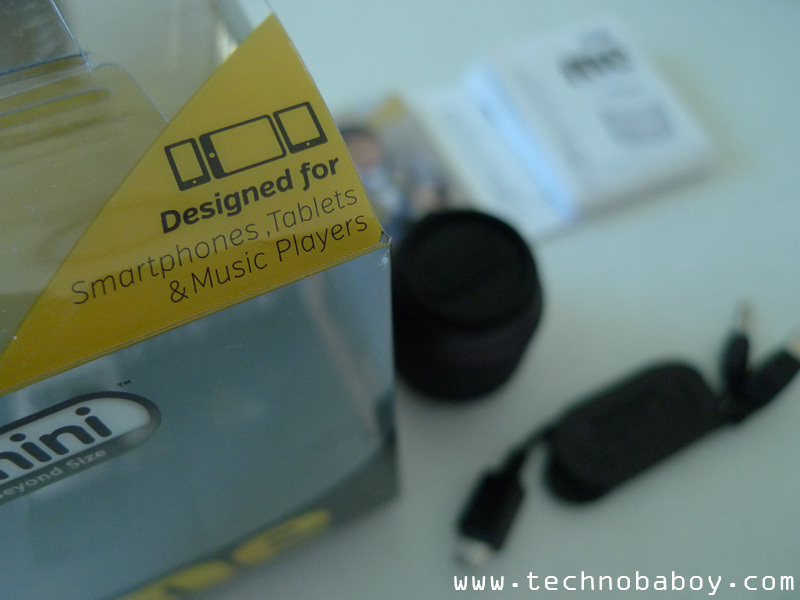 You’ll also find the power button, a notification LED and a micro-USB charging port on the body. The speaker itself has a rubber cap attached to a metal clip on the side. You can also attach the rubber cap to the bottom, like a rubber coaster to keep it from sliding around. On hand, it feels very compact and well-built. I am very impressed with its build quality. I feel that it can survive a drop or two. I wasn’t inclined to drop it though. 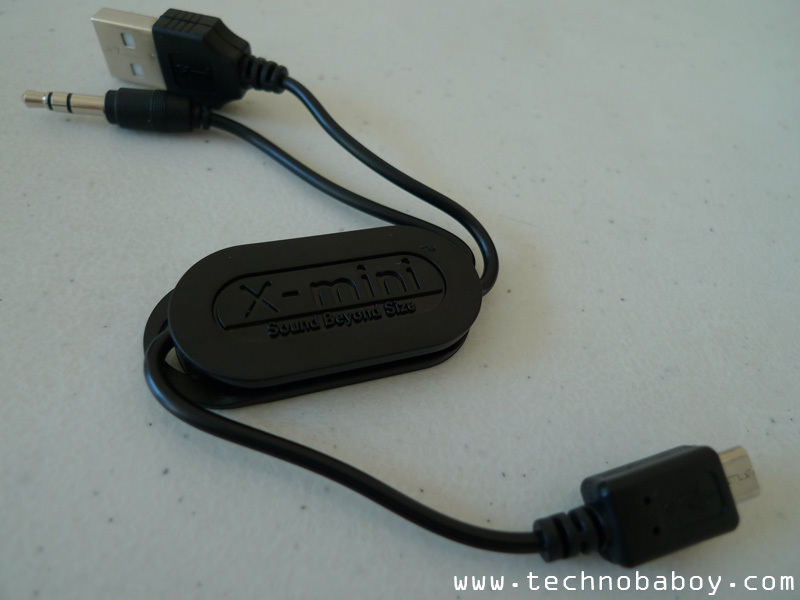 The USB/Audio 3.5mm integrated cable is a nice compliment to the portability of the X-Mini ME. 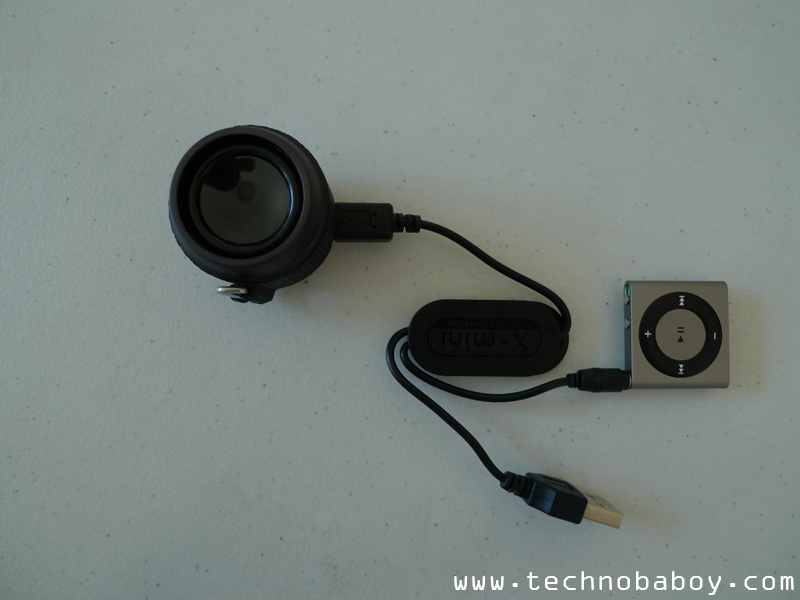 Designed for smartphones, tablets and music players, this tiny speaker has a power output of only 1.5W. It may not be as powerful as other portable speakers, but it’s good enough to fill a small room with music. I tested it with different music genres, and it did well. 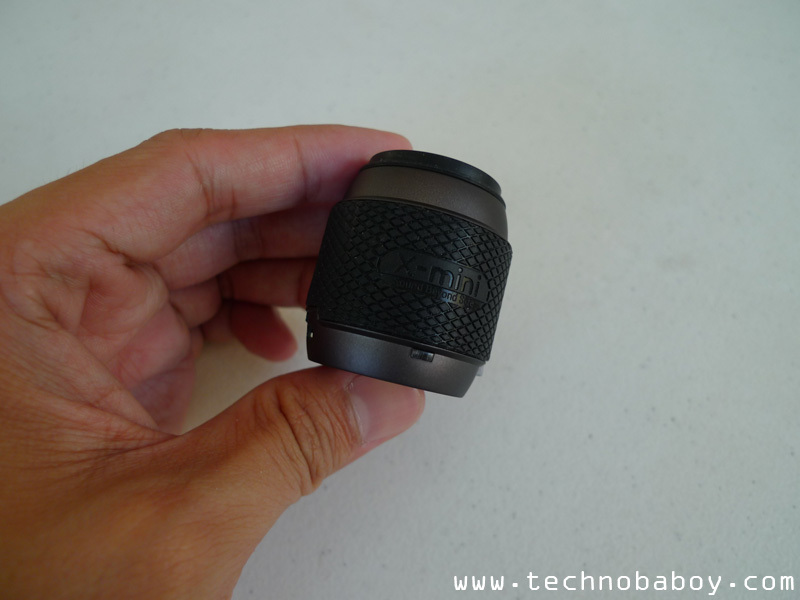 Honestly, I was half expecting a tin can like performance given how small it is, but the sound quality was actually quite impressive in relation to its diminutive size. 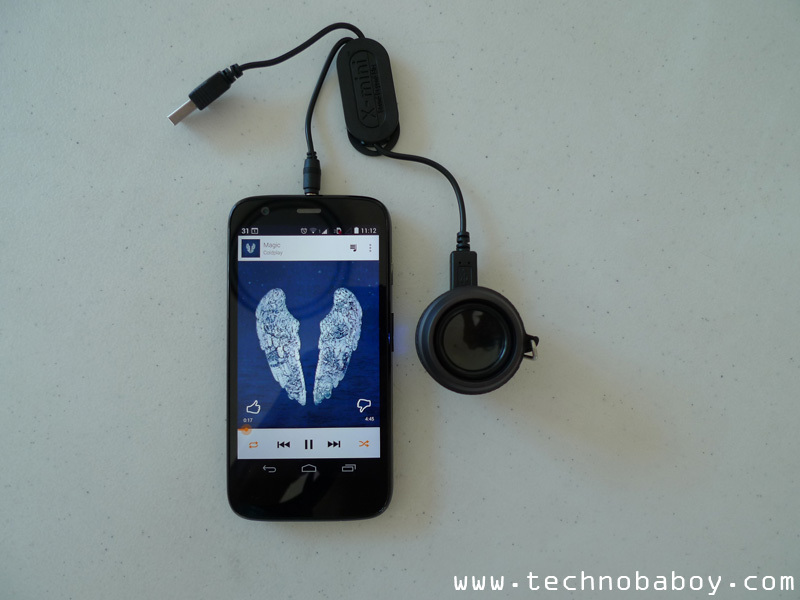 It definitely sounds better than most smartphone and tablet speakers. The sounds are full, a bit rich even. The highs are there, but don’t expect much bass. It’s easy to be caught up by its sound quality and performance thinking it’s coming from a larger speaker (like its bigger siblings), only to be surprised that it’s coming from such a small package. The X-Mini ME is quoted to have 6 hours of battery life. I was playing music in the office for the better part of the morning at 50% to 60% volume, until I eventually decided to unplug it and head out for lunch. I definitely think it could go longer than 6 hours. Good things do come in small packages after all. 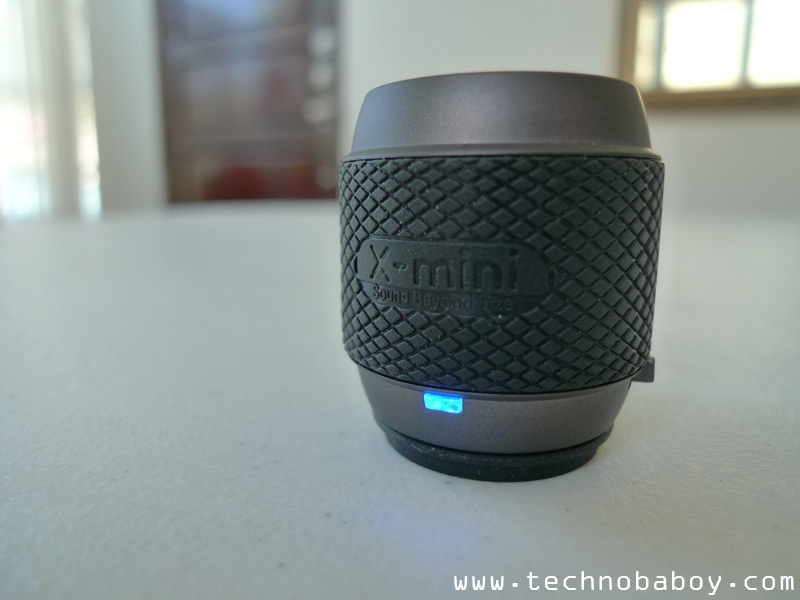 The X-Mini ME Thumb Sized speaker sounds good, has remarkable build quality, and an outstanding battery life. And it really is small and handy. You can clip it on your bag, or just carry it around. 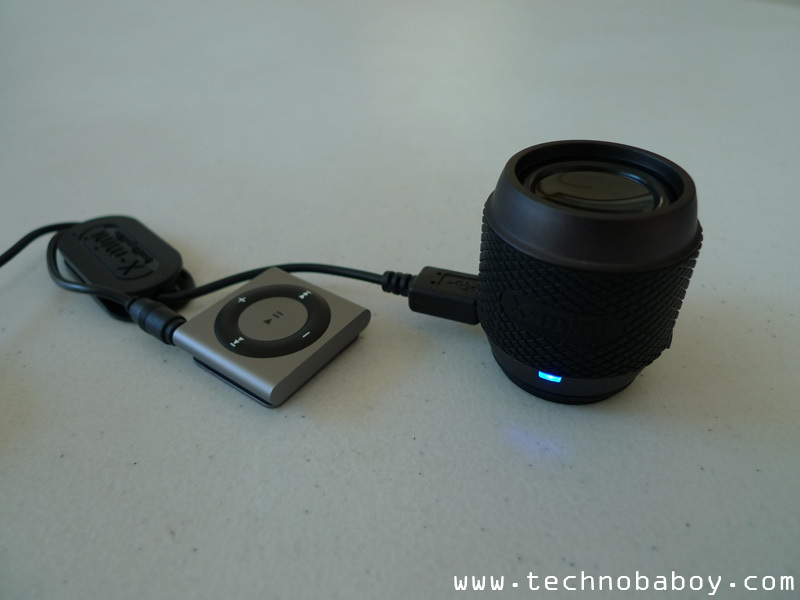 You can even have your own portable music set-up if you have an iPod Shuffle or another same-sized MP3 player, combined with the ME.